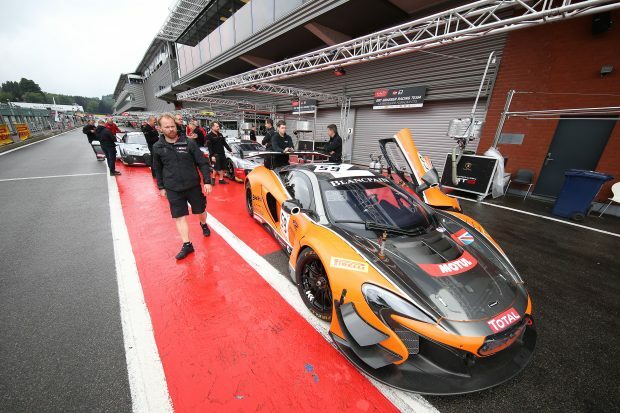 Jazeman Jaafar’s hopes for a successful race at the Total 24 Hours of Spa race were blighted by mechanical issues for the Strakka Racing #59 McLaren 650S GT3, which put them out of the race after five hours of running. Jazeman, with team mates Andrew Watson and Pieter Schothorst, had a good opening practice session, as the fastest of the five McLaren GT3s competing at the event. The focused moved to developing the set up for pre-qualifying, with Jazeman and his team mates putting the car through its paces over the course of the session. The #59 car was again the fastest of the McLarens in qualifying, with 19th fastest time of the 63 car field. After the night qualifying session the trio lined up in 24th on the grid for the race, with Andrew taking the start. It was a fast and furious start with 63 cars all funnelling down to the first corner with plenty of jostling for position. Andrew coped well with the chaos and after the first hour of running the team were lying in 12th place, but technical issues forced the #59 car to be pitted and the crew worked hard to resolve the problems. The car was back out on track but lying four laps adrift in the fourth hour of running but there were more issues for the car and before the end of the fifth hour the team had been forced to retire the car. The final round of the Blancpain Endurance Series will be at the end of September, the final opportunity of the season for the #59 car to race to the podium.